Ever wondered what it was like to pilot a 60+ pound Heavy Gun in top-level competition? Want to see how fast a shooter can rip off 10 shots downrange? 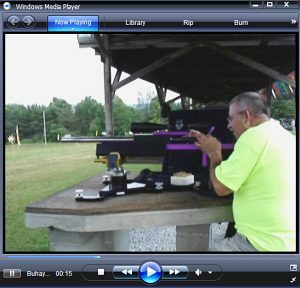 Check out this video of John Buhay shooting his 6 Dasher Heavy Gun at the Williamsport World Open on Sunday, July 15. John launches 10 shots in 26 seconds start to finish, even with multiple point of aim adjustments. John’s rifle employs a trued Remington Action in a Delrin and aluminum stock crafted by Buhay himself. If you cringe seeing John launch brass over his shoulder–he has a towel that catches his empties. Click the image below to download the 4.8 megabyte video. If you have the Media Plug-in, the video should launch when you double-click. 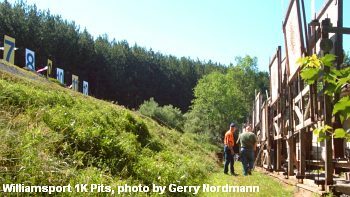 Share the post "Fast Shootin' at 1000 Yards with Buhay"
OSHA recently proposed new regulations that would treat firearms powders and primers as the equivalent of Det Cord and Explosives. Potentially, this would block mail-order and online sales of powders, because of the tight restrictions on sales and transportation. The Sporting Arms and Ammunition Manufacturers’ Institute (SAAMI) now reports that OSHA’s proposed new regulations for explosives (29 CFR 1910.109 et seq.) are being retracted pending a full review. A bi-partisan group in Congress has convinced OSHA to table the proposed regulations for the time being. The NSSF reports: “26 members of Congress expressed concerns with the Occupational Safety and Health Administration’s (OSHA) proposed explosives rule. This bi-partisan opposition, along with NRA grassroots initiatives and the work of NSSF and SAMMI, made OSHA understand the necessity … to revise its notice of proposed rulemaking and clarify the purpose of the regulation. NSSF and SAAMI will continue to work with regulators concerning the myriad problems with the proposed rule[. ]” For more info visit the SAAMI website. Share the post "OSHA Withdraws Controversial Proposed Regulations"